You’re invited to a most excellent afternoon supporting young Australians to thrive. Ticket sales from the Inaugural Raise High Tea at Melbourne’s stunning Hotel Windsor will benefit youth mentoring organisation, Raise Foundation. Raise is a not-for-profit which has supported 4,499 young people so far. Find out how you can become a mentor and help change the direction of a young person’s life. Hear the incredible story of Masterchef’s Jules Allen. Join us as the panel shares strategies to support the teens in your lives over bubbly and scones. Join us in celebrating National Youth Mentoring Week with an indulgent mid-week treat at the Hotel Windsor. Enjoy their famous High Tea with a glass of sparkling and the unique opportunity to access our expert panel answering your questions on how to best support the teenagers in your life. We are extremely privileged to have the wonderful Martine Harte as our MC. 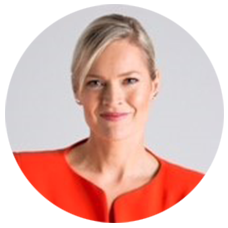 Martine is a dedicated human rights advocate, who was awarded the prestigious Melbourne Club Gold Quill Award for excellence. She founded the platform Engaging Women to advance the voices of women and girls. Our other special guest is Jules Allen, who you will likely recognise as a contestant on last year’s Masterchef, but that’s just a small part of her story. Jules is a former child protection worker, has taken in 31 foster children, and has seen first hand the positive effect a mentor can have on the life of a young person who may be struggling. Jules, along with our expert team of Program Counsellors, will explore the challenges faced by young Australians today, and how we, their village and community, can help support them. In addition to the delicious treats and engaging conversation, there will also be a raffle with some very special prizes. Posted in Ambassador for Good. 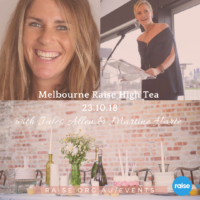 Tagged in Melbourne Women MCs, Raise Foundation, Raise High Tea.